Please tick this box if you are happy for us to contact you via phone and email. You can view are full privacy statement here. It's simple, you love the area and we are the experts in it. Looking for property in Fulham, Hammersmith or West Kensington? Or maybe you’re looking to sell or let your West London home? Look no further than Lawson Rutter. Thanks to our record of outstanding results and the word-of-mouth recommendations from our clients, Lawson Rutter now has three offices within a mile of each other covering Fulham, Hammersmith and West Kensington. Just pop in and, as well as a friendly welcome, you’ll get the benefit of our professional expertise in full residential sales, lettings and property management. More and more buyers and vendors are discovering that there is a real difference with Lawson Rutter. We like to think it’s the extra local knowledge, additional attention to detail and enthusiasm that sets us apart from the crowd. 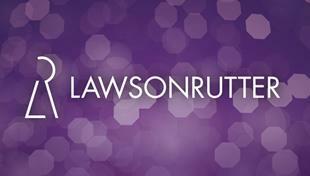 It’s what has made Lawson Rutter one of West London’s premier estate agents. It’s simple. You love the area, we’re the experts in it. Let’s talk. Here at Lawson Rutter, our customers are our business. We love what we do and work hard to ensure our customers are satisfied with all parts of our service. We have four offices in key areas across London and our staff are experienced professionals with a huge amount of knowledge of London. Discover the true value of your bricks and mortar and give the lawson Rutter team a call today.